If you suffer vision or hearing loss in a Boston workplace, you should consult the workers' compensation attorneys at Pulgini & Norton. Industrial, manufacturing, and construction job environments are particularly likely to have hazards related to vision or hearing. Hearing loss at work is one of the most common injuries in a workplace, due to such causes as loud machinery, loud power tools, and sudden high-decibel sounds. Vision loss can also occur due to a variety of reasons. For example, a flying sliver of glass in a factory could cause an accident, or a maintenance worker could lose her vision from a splash of a chemical cleaning solution. When a worker does not wear protective gear such as a pair of goggles or earplug, he or she may be at greater risk of a debilitating injury. Impaired vision or hearing can render an employee permanently disabled and unable to perform his or her job. Employers are required to provide safe workplaces to prevent these types of injuries, but they remain common and disabling for many. A worker who suffers vision or hearing loss may be eligible for permanent and total disability or temporary disability benefits. All employees who suffer these injuries are entitled to workers' compensation for job-related conditions. However, they sometimes have trouble succeeding in their claims, even if they have lost their vision or hearing. It is not uncommon for an insurance company to deny these claims on the grounds that the losses were not workplace injuries, and in a related defense, that they were preexisting conditions. A pre-existing condition is an illness or injury that happened before the accident. If you were denied benefits on the grounds that your injury was a pre-existing condition, you should be aware that you can possibly still recover benefits if work played a big part in exacerbating or aggravating the disability. Under Massachusetts law, an employer must provide compensation for a workplace injury that substantially aggravates a pre-existing condition or when it combines with the pre-existing condition to create a need for extended leave or medical care. 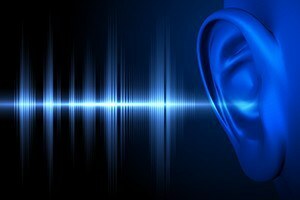 The workplace injury must be a "major" cause of the hearing loss or vision loss. However, "major" does not necessarily mean predominant. It need not even be considered more than 50% of an injury's cause. This means that even those who may be suffering from degenerative vision or hearing can seek benefits if they experience an acute injury. Although they are supposed to offer coverage to workers for their injuries, many insurers deny claims for only marginally legitimate reasons. People who suffer vision loss or hearing loss at a job in Boston should consult a workplace accident lawyer to represent them through the challenging workers' compensation claims process. You can focus on resting and recovering while we diligently present your case to an insurer and, if needed, before an administrative law judge. Pulgini & Norton represents individuals in communities throughout Massachusetts, such as Somerville, Cambridge, and Medford. Call us at 781-843-2200 or contact us via our online form to schedule a consultation.